James Vincent was an American silent-film actor and director. According to Wikipedia, he was born in Springfield, Massachusetts on July 19, 1882 and died in New York on July 12, 1957 - but the 1920 Census gives his birth as 1899 in Maryland. He may have lied about his age, wanting to be younger, as his lover Jack Kerrigan had done for the same census taker - giving his age as 29 when he was actually a full decade older. 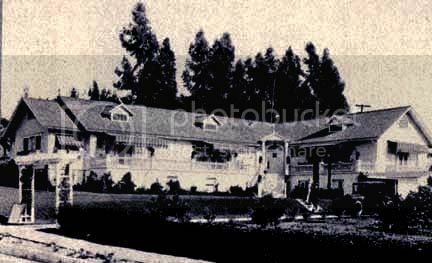 James and Jack lived at Kerrigan's home at 1307 Cahuenga during the 1920s, near the Cahuenga Pass. The home is no longer standing but today would be located in the hills on the other side of the freeway from the Hollywood Bowl - a small 1980's apartment building stands in its place.